An upcoming mixed development on the city fringe, The Venue Residences and Shoppes shall redefine the parameters of urban living in times to come. It is primarily a residential complex, with an addition of commercial plots supplying another dimension to the highly coveted “life of comforts”. 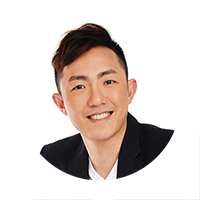 In the recent past, various real Singaporean real estate projects have employed a similar approach of mixed development and the response of Singaporean audiences has been very heartening. And with The Venue Residences, it’s not just the design philosophy that is alluring; here, the homes are such that meet your every need! The developers have invested their expertise in designing homes that are beautiful and comfy, alongside being affordable and easy to maintain. A wide range of outdoor facilities shall also serve the residents’ need for leisure and entertainment, while just beyond its boundaries, modern amenities of every nature abound. With such convenience and luxury being guaranteed to each home owner, The Venue Residences Singapore shall undoubtedly be one of the city’s top living destinations on its completion in 2017. 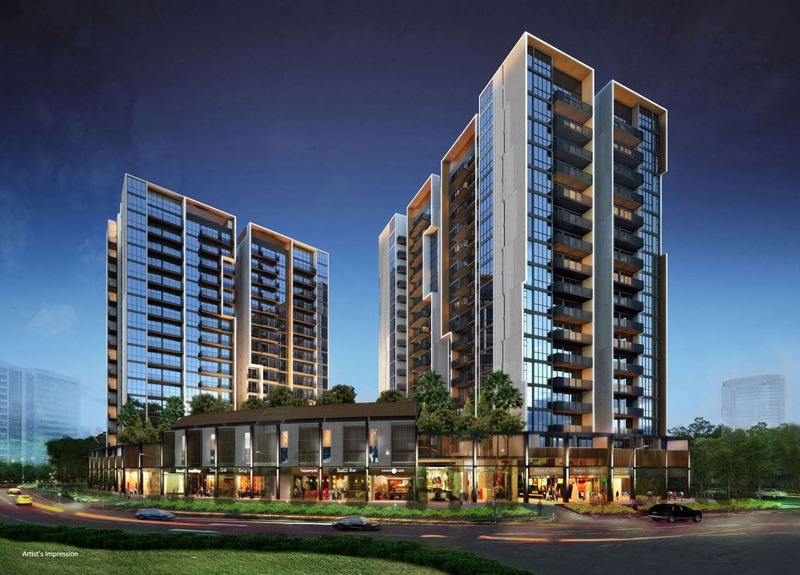 The Venue Residences is being developed by Crescent View Developments Pte Ltd; a collaboration of City Development Ltd (CDL) and Hong Leong Holdings Limited. Both these organizations have been instrumental in making the magnificent cityscape of Singapore what it is today. From involvement and contribution in mega-projects like lifestyle precincts to that in residential construction, these firms have established themselves as trusted names in the real estate industry. A few of their signature properties include Gramercy Park and The Meyerise. Though the collaboration of City Development Ltd and Hong Leong Holdings Limited is recent (started in 2012), there are high expectations from their work. Given the expertise and experience that backs this venture, the architecture and design as well as legal formalities and time of possession, all are most likely to be as promised. Thus, those looking to invest in The Venue Residences can rest assured that they are investing in quality real estate, managed by proficient developers who shall honour their needs. The Venue Residences Singapore will offer future residents a superior experience of life, with beautiful homes, world-class amenities and beautiful environs to fulfil their every desire. A great amount of time, effort and research has gone into developing a design philosophy that not only seeks to provide comfort and luxury, but also a wholesome lifestyle, rich in all kinds of experiences. A closer look at the location, specifications of housing units and the other in-house facilities will reflect the same. Located on Tai Thong Crescent at the junction of Upper Serangoon Road and MacPherson Road, The Venue Residences falls within District 13 of Singapore, around the familiar Potong Pasir precinct. Perfectly poised to provide speedy access to all important city destinations, the property is nonetheless suitability distant from the busy, bustling heart of the city. Getting to any place across Singapore is very easy given that the Potong Pasir MRT is just a two-minute walk away. Vehicle owners are easily connected via Upper Serangoon Road and expressways like the Central Expressway (CTE), the Pan Island Expressway (PIE) and the Kallang-Paya Lebar Expressway (KPE) for accessing their workplace or places of leisure. But for fulfilling most routine requirements, one does not need to venture far beyond the periphery of The Venue Residences. There are several educational institutions in the vicinity to serve those with children – Cedar Primary School, Maris Stella High School, Cedar Girls’ Secondary School, St. Andrew’s educational institutes (primary, secondary and junior college) and other renowned centers of learning fall within 10 km radius. Also, for groceries, banks, salons, eateries and entertainment purposes, various multipurpose arcades are just a short drive away; one has a wide array of options including Serangoon and Toa Payoh Town Centers, Heartland Mall, City Square Mall and NEX Mall at Serangoon Central as well. The convenient location of The Venue Residences is just the tip of the ice-berg. The housing units themselves are even more inviting! The Venue Residences promises future residents the most lavish interiors that are well-designed to maximize space, natural light and ventilation. All fittings have been tastefully chosen with kitchen appliances from Fisher & Paykel and Teka, and bathroom fixtures by Duravit and Hansgrohe; these designer-quality fitments are sure to add elegance, convenience and luxury to your lifestyle. The numerous unit mixes available further add to the charm of The Venue Residences, allowing one to find the perfect home that suits their needs. There are compact 1-bedroom units covering 495 – 753 sqft, functional 2-bedroom units covering 840 – 1163 sqft, sizable 3-bedroom units covering 1130 – 1313 sqft and luxuriant 4-bedroom units covering 1238 – 1378 units. From single occupants to large families, all kinds of households can be successfully accommodated within the homes of The Venue Residences. Not only shall all kinds of people find suitable homes here, they will also have many options for leisure and pleasure right within the residential complex. One of the hallmarks of The Venue Residences Singapore shall be the vast plethora of convenience and luxury facilities it offers its residents. It is to have a huge lap pool, small kids’ pool, one regular spa as well as a heated one. There will also be a Clubhouse, fully-equipped gymnasium, multiple yoga stations and a foot reflexology patio. Several communal spaces such as a Vintage Lounge, Hammock Lounge, Leaf Garden, Fern Garden, Barbeque Area, Rocking Cabanas and Sky Terraces are to facilitate neighbourly interaction. Moreover, the tiny tots will have a lush playground, trampoline, hopscotch station and play net to enjoy. Finally, the 28 commercial spaces (at The Venue Shoppes) part of this mixed development will provide home owners with immediate access to retail outlets and restaurants. When there is so much to keep one occupied within the bounds of The Venue Residences, life is sure to be an exercise in leisurely merriment. The showflat for The Venue Residences has already been demolished, in order to make way for construction of the development. However, you can still make an appointment via (+65) 6631 8384 to view the sale gallery for this piece of real estate. The following table shows The Venue Residences price for the last 10 units transacted, with psf ranging from to S$1,311 to S$1,489. How does The Venue Residences price compare with the nearby condo launches? As of 05 Nov 2015, other than The Venue Residences, there are 2 other new launch condos next to Potong Pasir MRT Station which are under construction – namely Sennett Residence and Sant Ritz. Here’s a comparison of the average psf among these 3 developments (from all the units being transacted so far). As shown in earlier average price comparison, it does seem like the units at The Venue Residences are priced cheaper than its fellow neighbouring properties (despite being the newest among all). In order to be more specific when comparing prices among them, let’s take a look at how much a 2-bedroom unit is sold at each of these developments. Of course, we should be doing an “apple-to-apple” comparison. Thus we shall be using 2-bedroom units with similar sizes and floor level (which for this instance on the 10th floor). Although not by a big margin, but you can see that The Venue Residences does seem like the cheaper option when compared to the rest. In case you are not aware, there aren’t any more 2-bedroom units left at both Sennett Residences or Sant Ritz. So if you missed out on these 2 condominiums earlier, there’s still The Venue Residences and it’s certainly not a bad thing. If you are looking at this as an investment, the growth and planning for the Bidadari new town should be something that excites you. The Venue Residences & Shoppes will be located on the edge of this upcoming new town. Being in the central region of Singapore, the Bidadari estate will be well-served by various MRT Stations such as Bartley and Woodleigh. A project population of 11,000 will be calling this serene urban estate their home in time to come. Then again, if you are expecting an explosive growth in terms of prices for your property at The Venue Residences, it’s pretty unlikely to happen (there are many reasons why). The aforementioned features of The Venue Residences and Shoppes are, in themselves, very impressive and enticing. There are however, a few more unique attributes that shall draw more people to it. One, this residential complex will be a suitable option for all kinds of individuals, given the brilliant location and versatile range of amenities. Also, being in the midst of an upcoming city fringe area, home owners can expect constant development and improvement of their surrounding localities. And this very fact makes it a superior investment prospect as well. Lastly, the amount of space within each residential unit itself is a rare luxury these days. Taking its 2-bedroom units as an example, you hardly see many developers of new launch condos these days offering 2-bedroom units at more than 800-sqft. Usually they are only slightly more than 700-sqft in size. With all being said and taking the upcoming The Andrew Residences (renamed to The Poiz Residences on 03 Nov 2015) having a home in The Venue Residences is possibly a lucrative proposition that will leave one feeling secure and excited about their future. If you require more information on The Venue Residences price, just simply fill up the form below and I’ll revert to you soon.